NBA 2K18 is a basketball simulation video game developed by Visual Concepts and published by 2K Sports. It is the 19th installment in the NBA 2K franchise and the successor to NBA 2K17. It was released in September 2017 for Microsoft Windows, Nintendo Switch, PlayStation 4, PlayStation 3, Xbox One, and Xbox 360. NBA 2K18 is a basketball simulation game which, like the previous games in the series, strives to realistically depict the National Basketball Association (NBA), as well as present improvements over the previous installments. The player mainly plays NBA games with real-life or customized players and teams; games follow the rules and objectives of NBA games. Several game modes are present and many settings can be customized. In terms of commentary, Kobe Bryant and Kevin Garnett appear as guest commentators. NBA 2K18 adds seventeen more such teams, including the 2007–08 Denver Nuggets and the 1998–99 New York Knicks, as well as 'All-Time Teams', teams for each franchise consisting of the greatest players in the respective franchise's history. NBA 2K18, like the previous games in the series, is based on the sport of basketball; more specifically, it simulates the experience of the National Basketball Association (NBA). Several game modes are present, including the team-managing MyGM and MyLeague modes, which were a considerable emphasis during development, and MyCareer, in which the player creates and plays through the career of their own player. GVGMall provides cheap NBA 2K18 MT PC for game players with immediately delivery, and safe and secure NBA 2K18 MT PC will be sent to you with 7/24 online support after payment. Welcome to GVGMall and buy cheap NBA 2K18 MT for PS4, XBOX ONE, PC Coins, and enjoy best in-game experience for NBA 2K18 MT PC . Automatic transaction for NBA 2K18 MT PC brings you brand new experience of comfort. We tried our best to cut off the complexity of NBA 2K18 MT PC transaction and give you a cozy environment with the safest and fastest service. You can buy NBA 2K18 MT PC with the cheapest price on the market, and receive the NBA 2K18 MT PC easily. GVGMall is the cheapest online NBA 2K18 MT store in the marketplace, which we’re enabled to offer you a best in-game experience. With the help of suppliers all over the world, our service for delivering NBA 2K18 MT PC is the fastest way in the marketplace. 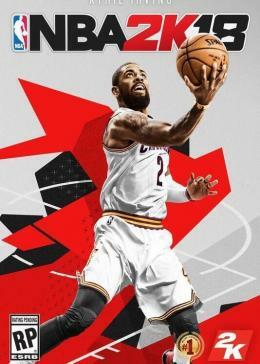 Fast and reliable delivery system is your best choice for buying NBA 2K18 MT PC from GVGMall, the average delivery time for your NBA 2K18 MT PC is 1 minute – 6 hours, which helps you build the best Team in short time. With 12 years of developing in video game service，GVGMall is capable of providing a better service for NBA 2K18 MT PC transaction, and already have over 1 million registered members, from more than 100 countries worldwide, You can safely supply game related needs such as game golds, items, prepaid cards, Power Leveling from this market.